Team Sky’s Richie Porte was saved by Simon Clarke when he punctured in the final kilometers of stage 10, despite his fellow Australian riding for another team. 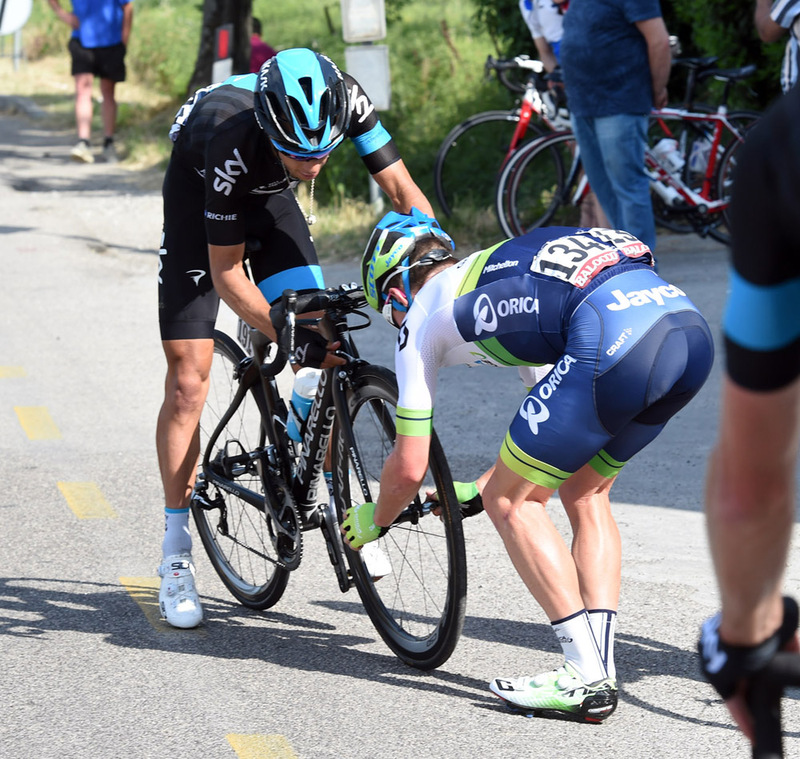 When Orica-GreenEdge’s Clarke saw his Antipodean friend at the side of the road with a mechanical problem, he stopped and put his front wheel in Porte’s bike. 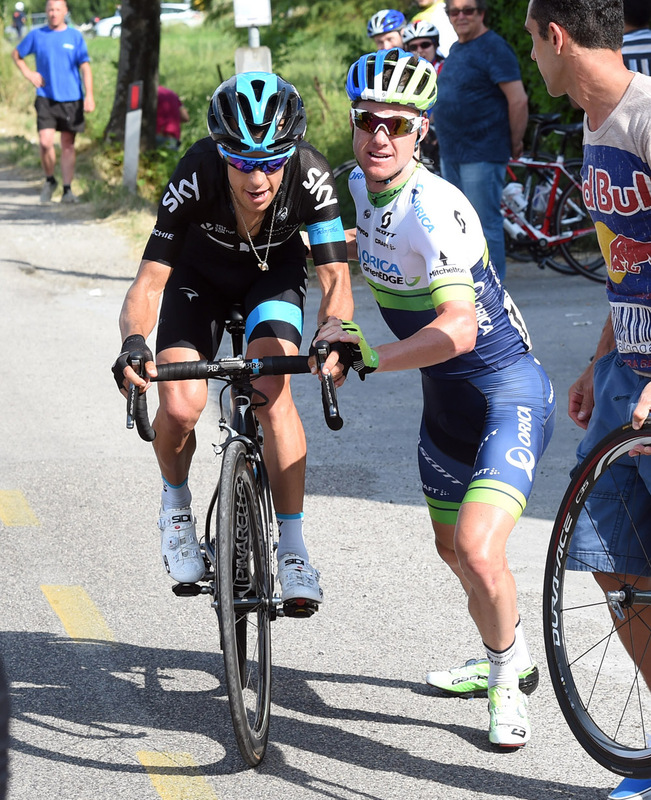 Porte afterwards had four Sky team-mates to help him return, but lost around 47 seconds to rivals, including leader Alberto Contador (Tinkoff-Saxo). Porte pucturend his front wheel and when the TV images showed him, he had around four teammates helping to save his Giro d’Italia position. After the time loss, he sits fourth behind Contador by 1-09. “It didn’t take away from [Clarke’s] teammates,” sports director, Dario Cioni said outside Sky’s bus in Forlì. “We benefited, but sometimes you are also colleagues and there’s respect. It’s nice to see that. A lot of people think on the bike that people fight with each other…When you are going for results, maybe, but at times friendship is stronger than a team at times. Porte mentioned Clarke, but did not explain directly what happened. Reporters were unaware of what happened at the time. “45 seconds… We’ve been fighting for one or two seconds, then you have a little bit of bad luck,” Porte told reporters after warming down. In three days, Porte might be able to gain that time loss back in the long 59.2km time trial from Treviso, before the Giro goes to the high Alpine passes the following week.